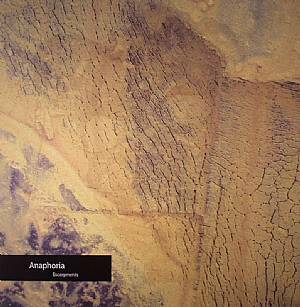 ANAPHORIA Escarpments vinyl at Juno Records. Ethnographic surrealist Kraig Grady captures the sensations of places that just feel different, where the external and internal terrains become one - from an anonymous musical homage with a touch of nostalgia and rural landscapes experienced during personal pilgrimages, to beggars playing the Kalan (a trapezoid-shaped instrument resembling a hammer dulcimer or santur, played using sticks with crescent-shaped heads that draw upon the energy of the moon); to a metallophone called a Meta-Slendro played at the water's edge while adhering to fluid guideposts. With three postcards. Numbered edition of 250.